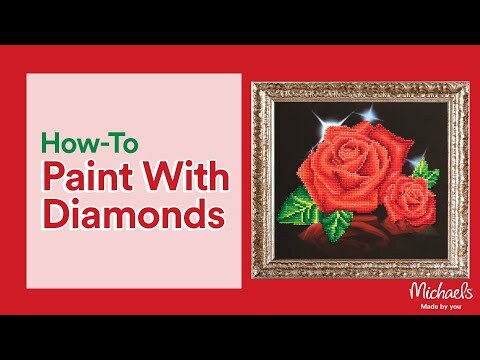 This all-inclusive intermediate level kit contains everything you need to create the Red Poppies 5D diamond painting design. It includes high quality color printed fabric, Diamond Dotz pre-sorted by shade, Diamond Dotz stylus, craft tray, wax caddy and complete instructions. Diamond Dotz® Red Poppies is rated 5.0 out of 5 by 5. Rated 5 out of 5 by Blueeeew from Beautiful I wasn’t sure what to expect but this turned out to be very beautiful! Rated 5 out of 5 by mspawprints from Very nice This is my first dp and I was surprised how easy it was! It turned out better then I thought it would and had me hooked on this new hobby! It was a perfect first time dp for me. I have it framed and hanging on the wall! Rated 5 out of 5 by Kmnicol1956 from Easy and fun I am having so much fun doing this. Very relaxing. Rated 5 out of 5 by Kuhrplantlady from Wow! Beautiful graphics, and so much easier than counted cross stitch! Rated 5 out of 5 by SheronL from love this craft Easy to do with amazing results. Sparkles aplenty.